WHAT'S NEW. View the recent art additions in our online gallery or enjoy browsing through several hundred original paintings plus printmaking and photo-based art by forty-one local Ottawa area artists on our online gallery. After viewing the art by our artists, you can view What's SOLD from our online galleries and art shows. Our next art show will be on Saturday, 15 June 2019 in the Outaouais Room at the RA Centre, 2451 Riverside Dr. Ottawa from 10 am to 4 pm. Rent or purchase original art by local area artists. Variety of mediums, styles and sizes available. ALO shows are always FREE admittance with free parking. Contracts for rental of art are completed at the shows only when a visitor has decided to rent a piece of art. Art show dates and map. Art Lending of Ottawa (ALO) is a unique not-for-profit artists' cooperative established in 1970. ALO invites the public to our art shows, featuring original artwork in a variety of styles and mediums by local artists. Each piece of art can be rented or purchased outright. Those who want variety in their homes and businesses have the choice to rent art for a minimum of three months, and the cost could be as little as $12. per month. Rental payments can be applied toward the purchase price. More information on Art Lending of Ottawa in the Glebe Report - August 2016. Artists will only be able to hang a limited number of paintings or photographs at the 15 June art show. If you see a painting or photograph in our online gallery that you would like to rent or purchase, you can arrange pick-up at the 15 June art show by submitting a request form. 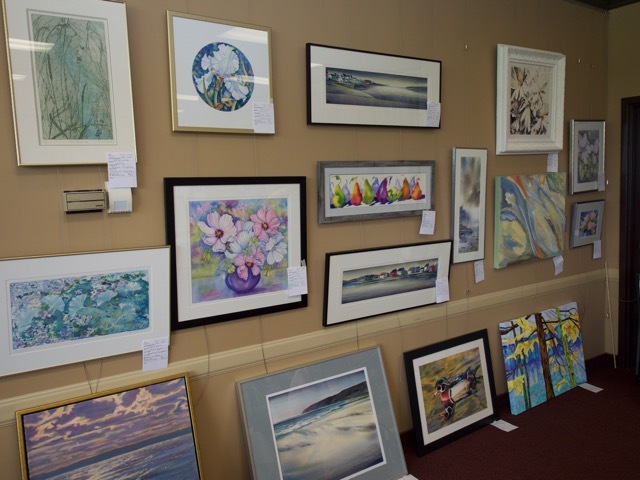 Requests for art pick-up at the June art show can be submitted 28 April - 13 June 2019. If you are unable to view our website gallery artwork information including dimensions, medium and price; please read gallery note. Specific art requirements for your business can be arranged by contacting us. Rental rates for our art are based on the price provided for each art item in the website gallery. Art delivery and pick-up can be provided at an extra cost. A minimum three month rental period can be increased in one month increments, as required for home staging. Local artists living within or near the National Capital Region can apply to be juried towards becoming an Art Lending of Ottawa artist. Completed applications to the Art Lending of Ottawa 2019 Call for new Artists should be emailed to artlendingofottawa@gmail.com. The deadline for jurying applications is Tuesday 16th April, 2019. If you are an artist who wants to promote your work, ALO offers an exciting opportunity to lease and sell your original artwork. Artists interested in participating must submit a completed application ( form, bio, 5 images and $25. fee) to be successfully juried into the organization. See Jury Details for more information. Please contact us by email: artlendingofottawa@gmail.com if additional information is required regarding the jurying process and joining Art Lending of Ottawa as an artist member. Rental is based on the value of each article. Artwork may be rented and, if purchased, the previous rental payments will be deducted from the purchase price. Increase buyer interest using art when staging a home for sale.